Deliver the best patient care before, during, and after surgery with this straightforward, step-by-step guide to surgical skills and operating room procedures. 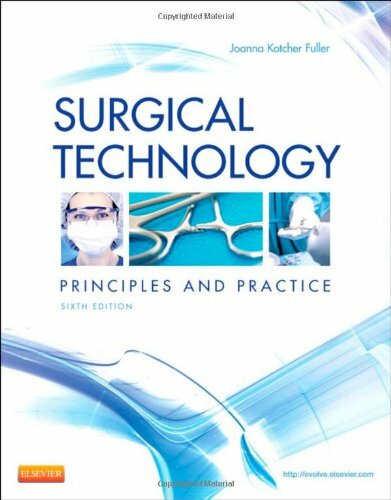 It provides comprehensive coverage of all the updated AST Core Curriculum, 6th Edition components ― health care sciences, technological sciences, patient care concepts, surgical technology, and surgical procedures. A mentoring approach makes even complex skills and techniques easy to understand. User-friendly features such as full-color illustrations, chapter outlines and summaries, review questions, critical thinking exercises, and technique boxes help you focus on the most important concepts and make it easier to retain and recall critical information. Joanna Kotcher holds a Master’s Degree in Global Health, a Bachelor of Science in Nursing and a BA in International Studies. She has coordinated emergency response in conflict environments for the past 18 years in such locations as Kosovo, Central Asia (Tajikistan), Afghanistan, Darfur, Gaza and the OPT, Somaliland, Syria, and Iraq. As a Medical/Surgical Coordinator Ms. Kotcher has coordinated and managed medical teams in the start-up and full implementation stages of projects that assist populations in need of emergency medical and surgical care during armed conflict. She has also coordinated post-conflict actions during the period immediately following “official cessation of armed conflict. Working in insecure environments, Ms. Kotcher has extensive experience in the design and implementation of medical/surgical actions, team building and support, implementation of standards and guidelines, medical and nursing staff training, and team mentoring. She continues to study and learn while working in the field and maintaining membership with notable professional organizations in the combined disciplines of humanitarian studies and medical/surgical assistance.